Day 1 (Sunday) Arrive at Bangkok Suvarnabhumi airport (airport code BKK) and say Sawasdee to Thailand. After clearing customs and immigration, our team will be there to meet you with a warm welcome – we will then transfer you to our base in Singburi, a journey of 3-4 hours. You’ll need to fly in before 4pm otherwise arrive the day before and overnight near the airport. 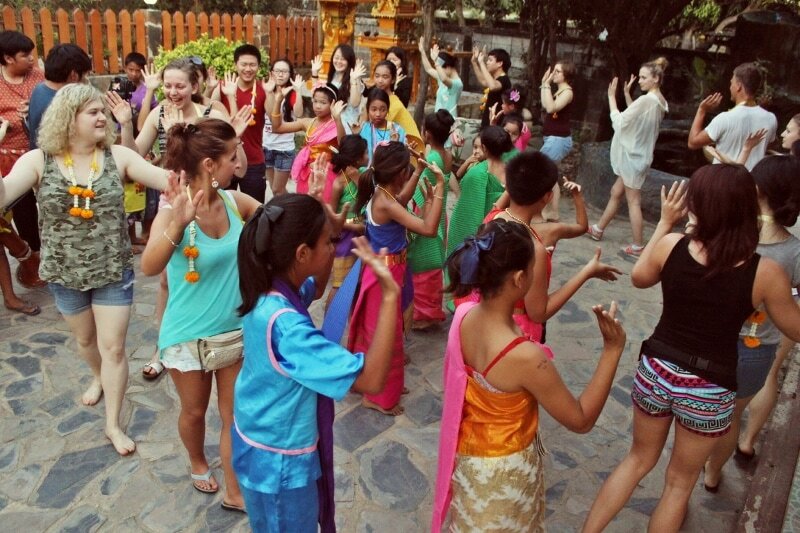 Day 2-6 Intro Week (Monday-Friday) Your first week is packed full of exciting adventures where we explore the beautiful surrounding areas and get acquainted with Thai culture. 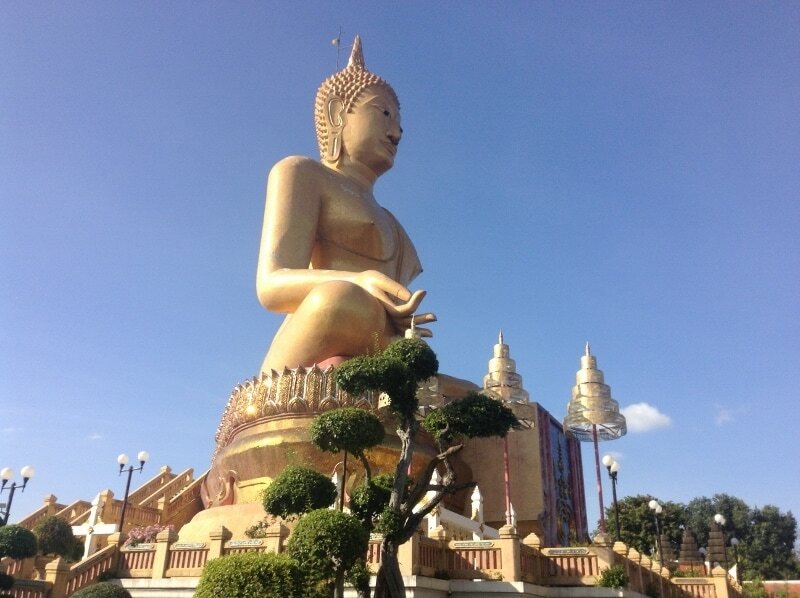 During the week you’ll visit Buddhist temples ancient and modern, with giant statues (Wat Muang has the world’s tallest Buddha and Wat Phra Non Jaksi Woravihan contains a famous, and enormous, reclining Buddha). 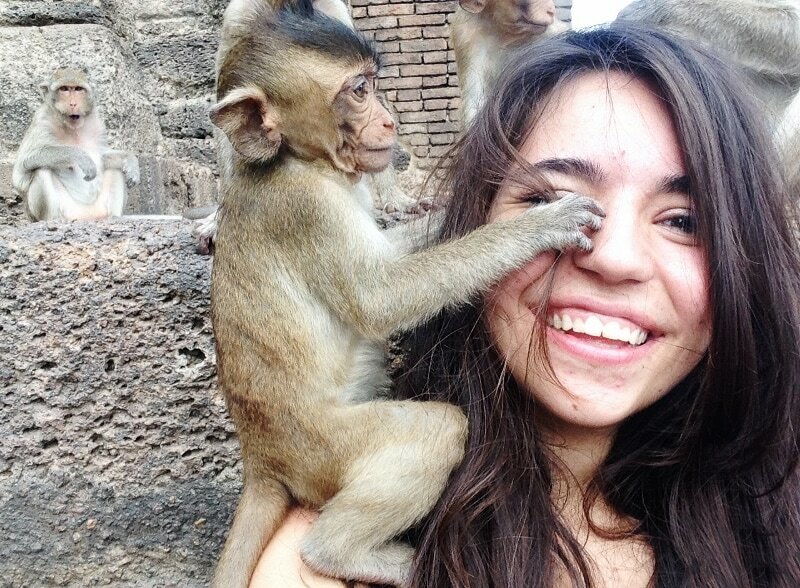 You’ll explore the ancient capital Ayutthaya (World Heritage Listed) and have monkeys jumping on your head at Lopburi Monkey Temple, where mischievous crab-eating macaques love to hang out! You’ll get your Masterchef on with a Thai cooking lesson, learn the basics of Thai language and gain a first hand understanding of the way of life in this wonderful country. Days 7 and 8 (Saturday to Sunday) Spend your free time as you please, your weekends are yours to enjoy and explore. Singburi has plenty to offer in terms of shopping, sightseeing and attractions or you might choose to check out Bangkok, a journey of under 3 hours by bus. Day 9-13 (Monday-Friday) The daily program schedule will vary, but generally you should expect 4-5 hours of work time each day Monday to Friday, mainly in the mornings and with a long lunch break to avoid the worst heat of the day. You will be briefed by our coordinator each morning about the tasks for the day. Whatever the specifics of your project you’re not expected to be an expert and you’ll not be exposed to anything risky – our coordinator is there to guide and advise you. Throughout the week our team will arrange optional evening activities for the group, and these may include a trip to a night-market or shopping mall, movie night at the cinema, Thai BBQ restaurant or trip to the pool for a swim. Your last day (Saturday) Oh no …… no matter how many weeks you’re here for, one of these days it will be time to say goodbye to your newfound friends. Our team will drop you off at the bus station in Singburi from where you can take the bus to Bangkok, just save some baht to pay your ticket locally. Your new home will be one of our 3 large volunteer houses near Singburi, all located riverside in a rural village on the outskirts of Singburi – the houses sleep between 30 and 70 volunteers in small dorm-share rooms. Each house has a communal area where you can eat, relax, meet fellow participants or use the free Wifi. Laundry facilities are available cheaply in the community or wash clothes by hand if you prefer. For participants who desire more comfort and privacy, a private room upgrade is available - these rooms are located separate from the volunteer houses and so are quieter.